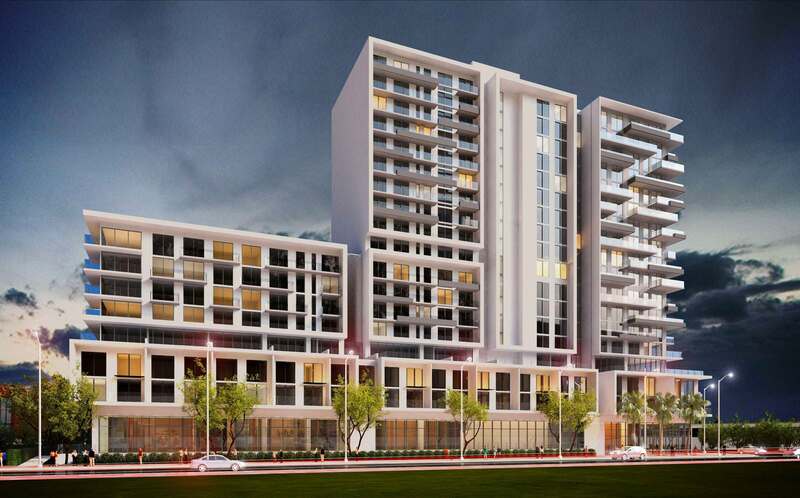 Estates Investment Group is proposing a luxury apartment project in Overtown. The project is being built in partnership with the Overtown/Park West Community Redevelopment Agency, on 1.23 acres owned by the CRA. As part of the deal, the developer is setting aside 40 units for affordable housing. Ten of those units are for those earning under 80% of the area median income ($52,300 for a family in 2018), fifteen units for those between 80% and 100% of AMI, and another fifteen units for those between 100% and 120% of AMI. The units will be mixed among market rate apartments. A total of 360 apartments, with a mix of studios, one two and three bedroom units, are included in the proposal. Also included will be 438 parking spaces, 6,500 square feet of retail, 2,250 square feet of office, and 9,355 square feet of open space. Caymares Martin is the architect. 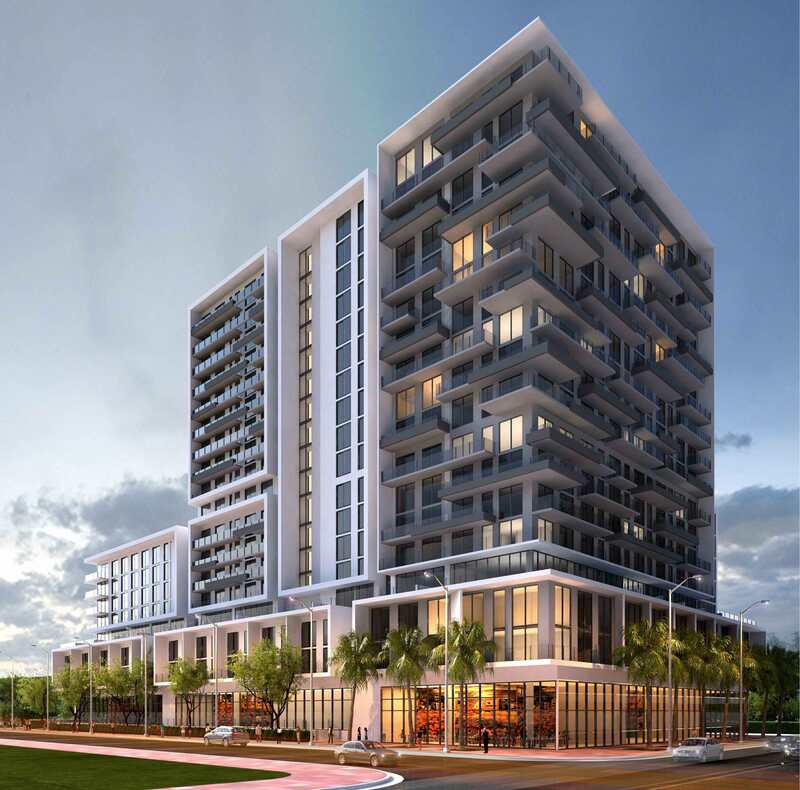 The project will be heard by Miami’s Urban Development Review Board on October 17. Relax?.. I see you got so wound up to where you had to respond to the post. Next time, chill out! You’re just like the dummy who wrote “Overtowns” and plus you’re too clueless to know that your sentence should end with period but you’re calling someone “ignorant?” Jesus Miami is full of sh++ talking dumbasses. Yeah, and looking at your writing skills it’s obvious you didn’t go to college. Very nice to get the rest of the story. Great proposal, hope it happens. This is the same render shown for the new building replacing the Wendy’s in Brickell. Which one is getting this design? Nice project, just no need to label it Luxurious, especially with undersized pool. Also, it seems TNM made a mistake from last week when they thought this would replace a Wendy’s in Brickell. So are residents of Ponciana Village going to be able to use Soleste’s pool since their pool is being built over? Wow. Yet *another* great project happening 3 blocks away from the Overtown Beckham stadium site. I’ve already voted NO on my mail-in ballot for freedom park.